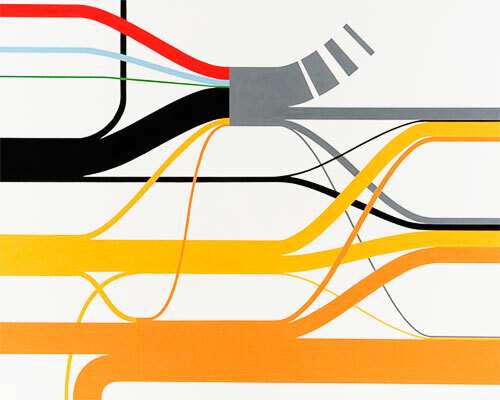 A hand-drawn Sankey diagram by @marcecheverri on Twitter… Get out those felt-tip pens! 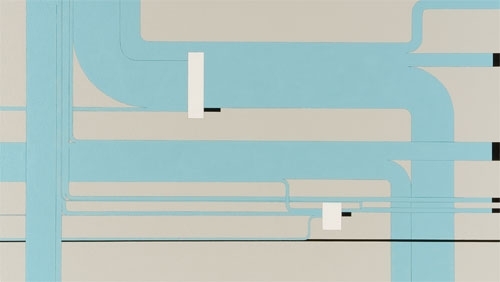 Never thought that Sankey diagrams would inspire artwork, but here you go. Whitey Flagg (check out the cool ASCII navigation on the front page, based on the NYC subway map!) uses satellite images, maps, info graphics, and the like as a model for his oil on canvas or acrylic paintings. Here are some Sankey diagram artwork samples: The first is called “Energy Flow” (60.5” x 60”), the second “Water Flow” (42” x 75”), the last one “Carbon Emissions” (64” x 80”). 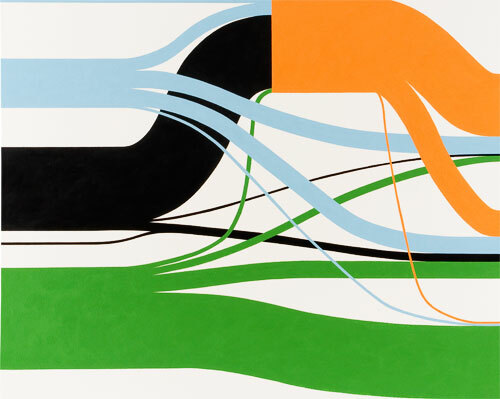 All artwork is available for sale, so if you want to enjoy a real oil Sankey diagram, and have an appartment big enough to hang it, you can contact the artist. Also, check out the other paintings on his website.